South West Drains have recently invested in the very latest iTouch CCTV camera equipment and software, meaning that we can provide completely transparent and virtual, real-time reports directly to our customers. The iTouch One allows us to inspect, record, and produce full CCTV inspection reports all in one go from the side of the manhole. Our iTouch Live network creates a digital link between the office and us on site, allowing work to come to and from us no matter where. High pressure water jetting is carried out before we commence the survey ensuring we receive a clear picture for each survey. The reports usually get finished on the same day and forwarded straight on to our clients. Each report will be accessible through our live web portal but DVD's with the footage can come with the report if you would prefer. Come rain or shine, this new technology allows us to use it whatever the weather. can connect and transmit our footage quickly and easily. on site and a report generated. 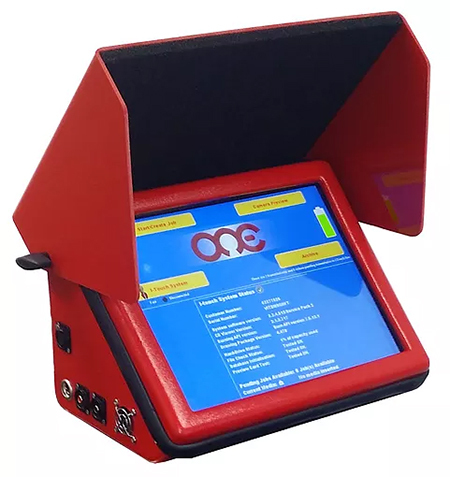 set up our system with ease and can carry out multiple surveys in one charge. Putting a camera through your drains can help identify any problems with the pipes, such as displaced joints, roots, cracks or any foreign objects. When buying a property it is important to have a drain survey as a normal house survey won't pick up underground pipework and might not pick out any problems. 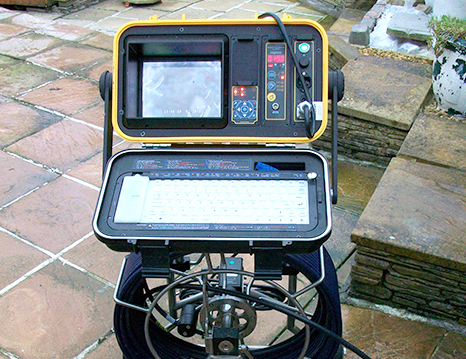 We are still offering CCTV drain surveys using our original XTec software.